Includes SAQCFSK1 Dream Frame Starter Kit, THE Dream Fabric Frame with a FREE SAQCFSK1 (Dream Fabric Frame Starter Kit:) MSRP $99.00. Kit Includes: top & bottom fabric with batting, 10 pack quilting needles, 4 spools cotton quilting thread. Unleash your inner artist! The Dream Fabric Frame is the perfect canvas for painting - even drawing - with thread. Add dimension and texture with ease. 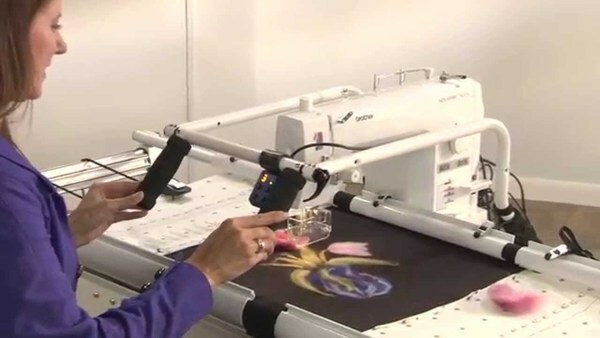 Using the optional couching foot specific to your machine, embellish garment pieces, wall hangings, upholstery and quilts. 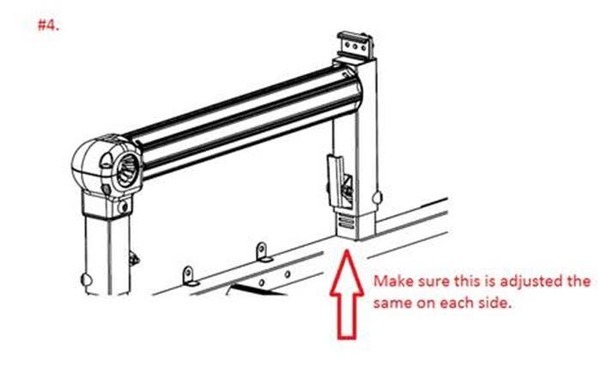 Simply insert the cording or yarn of your choice into the couching foot and stitch away! 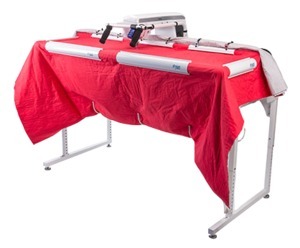 With its large workspace and free-motion features, you no longer need to constantly move your fabric. The machine does the work as you move the fabric, zone by zone. Apply free-motion stitching to your appliqué piece to create a unique scene. 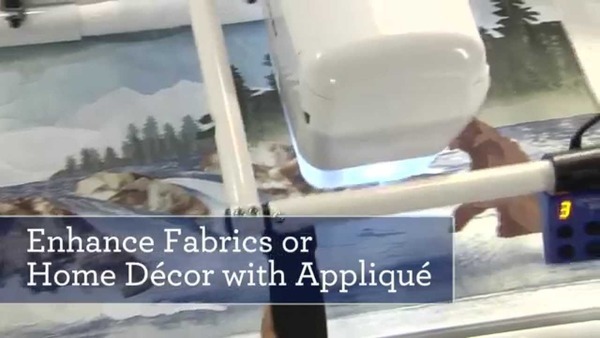 Simply adhere fabric pieces in place witch double-sided fusible and stitch over the edges. Use a twin needle for a more decorative look. Easily turn roving and wool yarns into artful embellishments. Add felting on top of embroidery, or felt a variety of fabrics withouth adding roving or wool, including Dupioni Silk, Cotton Flanel and Polar Fleece. Let Pat, from The Sewing Studio Fabric Superstore, show you how fun it is to mount a panel on The Brother Dream Frame! We love Panel Quilts here at The Sewing Studio, and quilting them is easier than ever with The Brother Dream Frame!